Knee pain can strike just about anyone, and it is really important that you get on top of it and take care of it as quickly as possible. One of the most common forms of knee pain is chronic. This happens when the stress on the knee becomes too much, and it gets overloaded and injured.The great news is that there are a lot of things that you can do in order to help your knee pain, and get rid of it for life. Although chronic knee injuries can be very painful, they are also treatable, and with the right work, you can be back playing pain free in no time. How Does A Chronic Knee Injury Start? 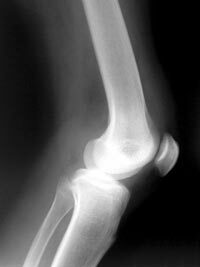 A typical chronic knee injury that we will look at is patella tendonitis. This is when there is too much stress placed through the patella tendon. It is most common in sports where there is a lot of running or jumping. When the stress becomes too much the tendon gets inflamed and sore. If it gets really bad it may even start to degenerate. The great news is that there are many things you can do to start reducing the pain that you are feeling. The first thing you should look at for an injury like patella tendinitis, is a knee strap. A knee strap will place pressure on the tendon and will redirect the force through another area. This will mean that you are giving your tendon relative rest and allowing it to heal as well as instantly taking away your pain. Combine this with regular icing, and exercising the muscles around your knee to ensure that you stay strong, you will be on your way to a pain free existence and can say goodbye to knee pain forever.